In order for your business to have a solid foundation, you must take steps to determine your typical customer and develop your marketing strategy around them. With the economy still recovering and advertising budgets shrinking, targeted marketing is only becoming more essential. It is a simple fact that you cannot target every type of person. If you’re concerned that your business isn’t reaching its target market, follow these steps to start reaching them today. Even though you want to create a specific target market, this does not mean that you should go so far as to exclude those who do not fall within your target demographic. What this type of marketing allows you to do is completely focus the money you have for advertising, promotion and marketing on the market that is most likely to produce interested and profitable customers. While this marketing strategy does not mean to exclude anyone, it can help reach those individuals who are already interested in what you have, which in turn can help to generate better leads and more business. When you define the actual target audience for your business you will be able to create a marketing strategy that is customized for your business’s needs. Ask yourself what problems your business’s products or services solve, and then try to build a customer profile for whom those products and services would be helpful. This may require some observation and research, but done successfully it can help you focus your advertising on the type of person most likely to find your business helpful. It’s also a good idea to look into your competitors’ customers and how they’re being targeted. It’s best not to try to go head to head and compete for the same demographic, if you can avoid it. Try to find a unique niche market that you can have all to yourself. In order to figure out who might benefit from your business’s products and services, survey the type of customers who already purchase your product and do an in-depth query into the benefits your product or service has to offer. Write down these benefits and then determine who would most likely utilize these types of benefits. This is a great way to determine different niches to target. Along with common characteristics and buying habits, other factors to consider when researching your target market include age, location, gender, income and education level, employment and family status. At this point you should have a pretty good idea of the type of person that will benefit most from your product or service. Now you need to find out how to reach them. Thanks to social media and online resources, reaching out to your customer base is easier than ever. Don’t forget to use email marketing as part of your overall target marketing strategy. This is a great way to get in contact with your customers directly. The other benefit to emailing is that it allows you to track responses from customers individually. 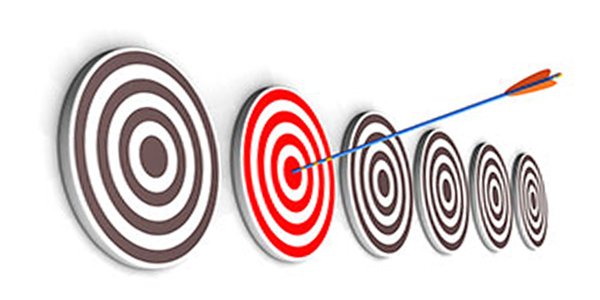 Remember, determining your target market is the hard part. Once you have done this you can seek out the types of advertising that will reach them best. Also, once your market is defined you can save money by only sending mail, email and other forms of communication to potential customers within the target demographic, saving you money and generating more leads per ad dollar. This strategy has been proven time and again and works for businesses of any size.